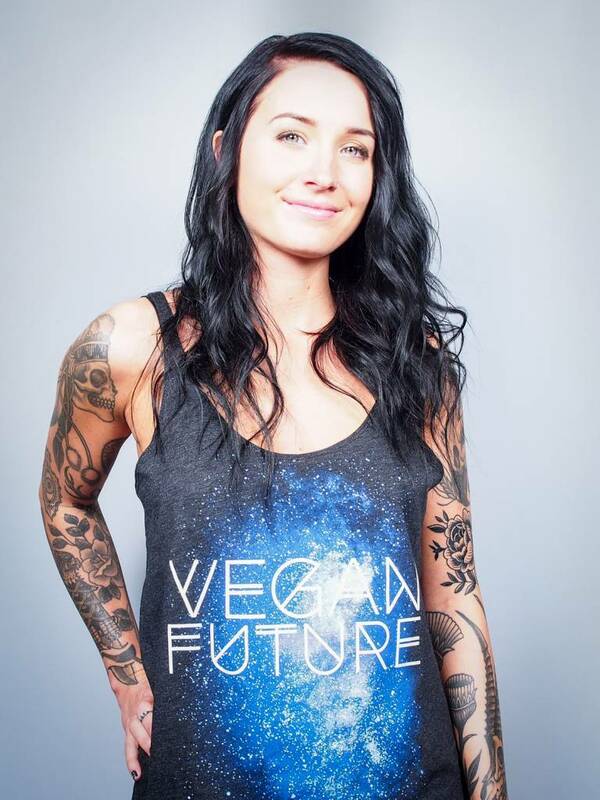 Vegan Future Slouchy Tank Top ON SALE for $25! We want you to share in our enthusiasm for the vegan future. That's why we put our Vegan Future Slouchy Tank on sale this week for $25! The vegan future is coming. Be the change you want to see in the world, right? Well, with every vegan meal we are being that change. A vegan life is a life built with kindness, empathy, and respect. The more we practice those qualities in our homes and at the table, the more we will see those qualities reflected in our world. We have always known veganism saves the lives of an innumerable amount of animals. Scientific research also supports that going vegan is the most important change you can make to ensure the health of your body and the environment, and this fact becomes more universally accepted every day. Our vegan future gets closer each time we act and eat with compassion, and we can't wait! - Tri-Blend. 50% polyester, 25% cotton, 25% rayon.